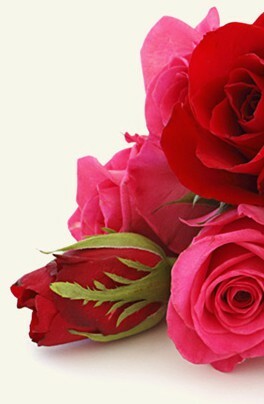 Login to my flowers4poland.com/lodz account to track the status of your order or visit our customer service page. 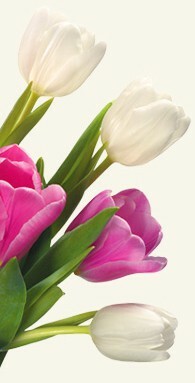 Login to my flowers4poland.com/lodz account to modify your order or visit our customer service page. All changes must be 24 hours before delivery. After that time, we cannot guarantee there will be enough time for the changes you request. At Flowers for Poland we only use the very best in security for our online payments. We use PayPal for our online payments and as one of the largest payment processors in the world their security is top notch. flowers4poland.com/lodz keeps customer information completely confidential. Our company does not share customers' personal information for third-party use or sell it to advertising agencies. In the event of a legal requirement, fraud, or law-enforcement request, your personal information may be shared upon request from the relevant authorities. The delivery costs are: Bialystok Bialystok City 10.00 EUR, Busko Zdroj 10.00 EUR, Bydgoszcz Bydgoszcz City 10.00 EUR, Bytom Bytom City 10.00 EUR, Czestochowa Czestochowa City 10.00 EUR, Elblag Elblag City 10.00 EUR, Gdansk Gdansk City 10.00 EUR, Gdynia Gdynia City 10.00 EUR, Gliwice Gliwice City 10.00 EUR, Inowraclaw 10.00 EUR, Katowice Katowice City 10.00 EUR, Kielce Kielce City 10.00 EUR, Kolobrzeg Kolobrzeg City 10.00 EUR, Koszalin Koszalin City 10.00 EUR, Krakow Krakow City 10.00 EUR, Legnica Legnica City 10.00 EUR, Lodz Lodz City 10.00 EUR, Lubin Lubin City 10.00 EUR, Olsztyn Olsztyn City 10.00 EUR, Opole Opole City 10.00 EUR, Poznan Poznan City 10.00 EUR, Przemysi Przemysi City 10.00 EUR, Radom Radom City 10.00 EUR, Rzeszow Rzeszow City 10.00 EUR, Sandomierz Sandomierz Town 10.00 EUR, Sopot Sopot City 10.00 EUR, Starachowice Starachowice City 10.00 EUR, Starogard Gdanski Starogard Gdanski 10.00 EUR, Stupsk Stupsk Village 10.00 EUR, Swarozyn 19.00 EUR, Szczecin Szczecin City 10.00 EUR, Tomaszow Mazowiecki Tomaszow Mazowiecki City 10.00 EUR, Torun Torun City 10.00 EUR, Tychy Tychy City 10.00 EUR, Walbrzych Walbrzych City 10.00 EUR, Warsaw Warsaw City 10.00 EUR, Wloclawek Wloclawek Town 10.00 EUR, Wroclaw Wroclaw City 10.00 EUR and Zielona Gora Zielona Gora City 10.00 EUR. How do I contact flowers4poland.com/lodz customer service if there is a problem? Use my flowers4poland.com/lodz account to access your account and contact customer service. Alternatively, call our customer service department.